The harmonica is a very accessible instrument, but only those with the right instruction and direction will be able to experience the joy of using it for accompaniment and solos. 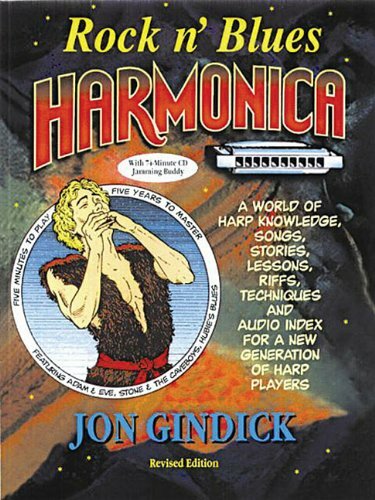 Here you will get some of the best books of harmonica that will show you a complete roadmap to be a professional harpist. A definitive guide to mastering the harmonica. It teaches you theory and techniques that will help you to become a great harpist. Fun book that takes you on a kind of metaphor Through his pages, learning to play the harmonica easy, fun, practical and understandable. A CD with great resources. 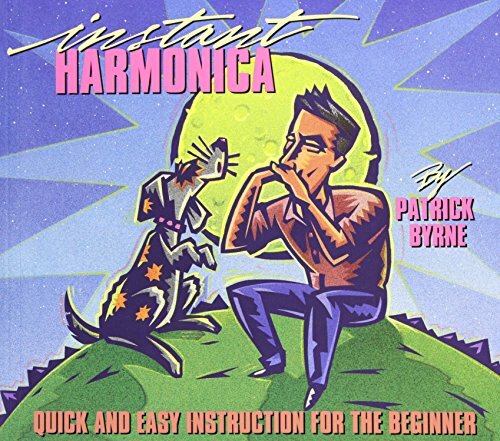 Instant Harmonica is a totally new way of teaching yourself to play the harmonica in as short a time as possible. 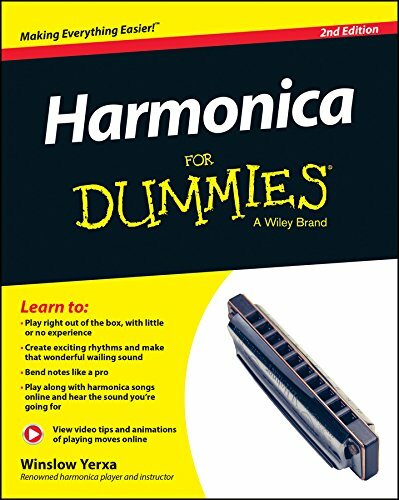 For anyone who is considering learning to play the harmonica, this guide along with some formal instruction is an excellent combination. How to hold and harmonica, breathing. How to read harmonica music. The importance of tones and rhythm. Some beautiful songs for practice. This is the ultimate guide to harmonica playing. It has info that long time players as well as beginners will be happy to find. The author is a true expert, which is rare in the world of harmonica. This 2nd edition adds a CD and more info, which makes it even better than the original edition. High-quality and comprehensive instructional manual. Detailed instructions and tips to help you learn to play quickly. Clear, easy-to-understand format complete with accompanying audio/video content. 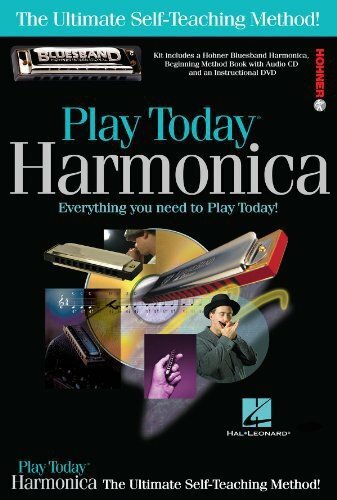 Helps you improve your playing and embrace the many musical styles that have made the harmonica an iconic instrument. This is a great book to start out with. It really has a lot of songs and it is very cheap. A great selection of songs to relax by the campfire with, hone your skill with the harmonica, and keep the bears away. This book is very and concise, easy to read and understand. Good selection of 62 American songs. A great variety of new and old songs. Standard music notation, harp tablature and guitar chords. Great supplement to learn songs. 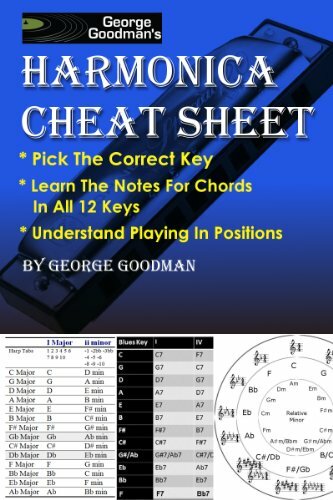 George Goodman's Harmonica Cheat Sheet is designed for advanced players. There is music terminology and music theory. Plus there is harmonica terminology and harmonica theory. 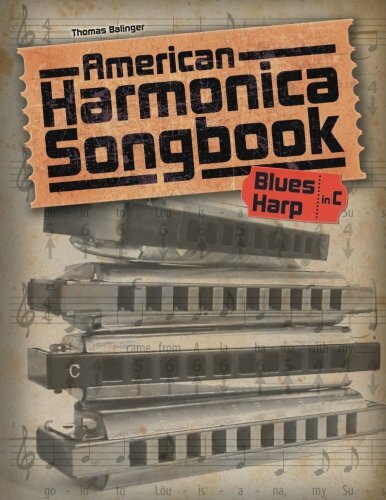 The Blues Harp Chart which provides chords, cross harp key, 12 Bar Blues Progression, and Blues Scale harmonica tabs covering all 12 keys. Major Key Degrees of Scale which unveils blow and draw holes for all diatonic chord tones. Circle of Fourths and Fifths which makes sense of playing in positions and teaches how to choose the correct key harmonica depending on the key and style of a song. Very handy and instructive in a nice small package. Easy to follow and helpful to match songs and keys. Great tool for beginners. This beginning kit contains everything you need. A high-quality Hohner Bluesband harmonica is included along with the Play Harmonica Today method book/CD pack. The professional-quality CD features 57 full-demo tracks to help you listen and learn. The Play Harmonica Today DVD features Lil' Rev a renowned folk musician who is also the author of the method book. Proven Self-Teaching System for the harmonica . 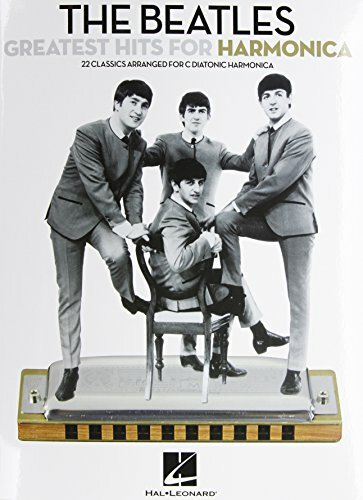 Nice book with an organized tune collection especially for The Beatles fan. Great book with an affordable price. Learning to play the Harmonica is unbelievable fun and educational. People who want to know the secret to play harmonicas on an easy way. Simple and practical to get information to learning process. Basics for chromatic and diatonic harmonicas. Information about how to hold harmonica and how to read music. This book is useful for the beginner to intermediate player. 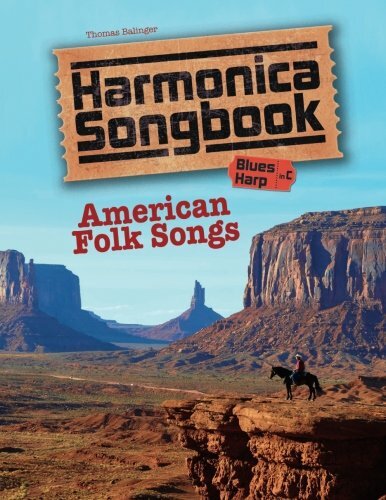 A collection of American Folk Songs, arranged for easy Blues Harp (10-channel diatonic harp, system Richter) in C. You’ll find the “classics”, but you’ll also encounter songs not as common and maybe even some you might never have heard before. Songs are transposed and arranged for easy playing.